​The DC Extended Universe is in a bit of a mess right now. Not only did Ben Affleck step down from his directing role in the upcoming Batman film following the poor reception of both Batman v. Superman: Dawn of Justice and Justice League, with his future in the leading role still ​unknown, now, Henry Cavill ​might be​ abandoning the role of Superman. Warner Bros. and DC are definitely scrambling to fix the state of their cinematic universe right now, but that doesn't mean tons of seasoned actors aren't open to filling the major roles should Affleck and/or Cavill leave. 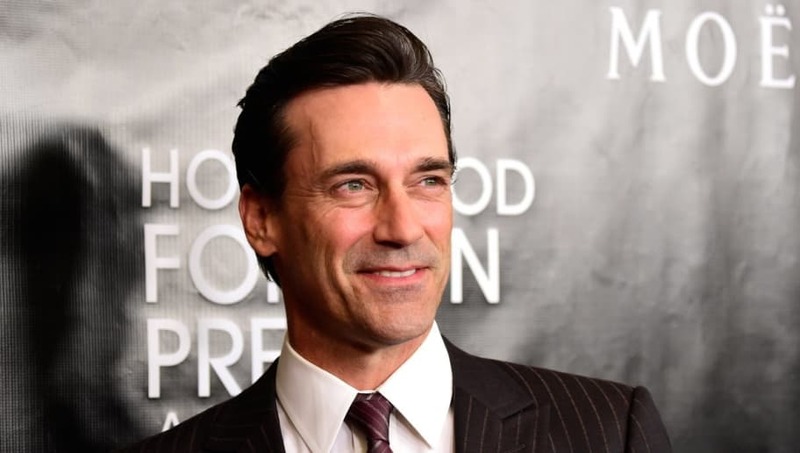 One actor who has just expressed interest in taking on the Caped Crusader is Mad Men's Jon Hamm. Hamm, who's gone on to appear in various acclaimed films such as The Town and Baby Driver, is seemingly ready to make the movie to the superhero genre. While speaking to ​The Hollywood Reporter on the possibility of playing Batman, Hamm said, "It depends on the script, what the story is. I am a huge comic book fan, always have been. I have read comic books since I was nine or younger." "I'd probably fit the suit. I'd have to work out a lot, which I don't love. But, I am sure there is an interesting version of that being out there," Hamm continued. "And if they wanted to tap me on the shoulder and ask me to do it: why not?" Seems like he's fully down! Although Hamm is definitely interested in a possible Batman role, he did clarify that he's never been approached about anything of the sorts. "I have never had a conversation with anybody about it, literally. And I've sat in the room with all these guys. I have never been offered anything," he stated. Many fans have definitely rallied for Hamm to play the part throughout the years, and now could be the perfect opportunity. We have no way of knowing if The Batman has room for a new Bruce Wayne, however, so only time will tell.